There are many occupancy sensors and occupancy sensor switches on the market today. Products can range from commercial to residential grades and can be design to fit several applications within each type of building. Shopping for occupancy sensors is not complicated but following these simple guidelines will help you make the right decision and can even save you money! It is easy to pick the cheapest wall switch occupancy sensor, throw it in your existing light switch junction box and call it a done deal. For many applications this may be just fine, but if you are looking to transform a larger space with multiple entrances or several parts of your home or office with an automated occupancy sensor lighting system, it is better to plan ahead. Define the parameters of your space using the standard specifications given to occupancy sensors. Answering a few of these simple questions will help you do so: What is the square footage of the room? What is the ceiling height? What is the longest distance from the presumed location of the occupancy sensor that detection would be desired? Are there fixed objects in the room that could obstruct passive infrared detection? How many entrances are there to the space? Your responses to these questions will certainly help you define your space in terms of specifications that manufacturers use to define their products. Simply align your needs with the correct occupancy sensor or sensors for the most successful energy efficient lighting system. 10 LED light strips and power supplies. There are several types of occupancy sensors to fit your needs. 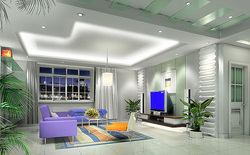 Residential occupancy sensors are very sleek looking and designed seemlessly integegrate with your decor. Commercial occupancy sensors are designed to interface with more complicated energy efficient, automated lighting system controls, such as daylight dimming balasts, and demand response. They also are more fit for industrial spaces with high ceilings and cubicle partitions or shelving. Within each of these categories, there are passive infrared occupancy sensors and ultrasonic occupancy sensors. Passive infrared sends an array of infrared lasers from the source that will turn the switch on when one detects the heat of an occupant. Ultrasonic occupancy sensors send waves like sonar from the source that bounce off of walls and stationary objects in the room and return to the source in a pattern. Once the pattern changes from movement in the room the switch will turn on, and once the pattern remains static for a user defined period of time the lights will turn off again. Next, there ceiling mounted and wall switch mounted occupancy sensors using each type of technology. Ceiling mounted are a little more difficult to install in an already finished room, and may be more expensive, but can save you money by replacing the need for several 3-pole wall switch occupancy sensors at each entrance to a larger space. Wall switch occupancy sensors are less expensive and can save you tons of money in areas of your home or office where you always leave the lights on. 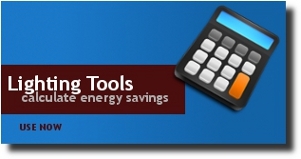 Energy Efficient Lighting: What's it all about? Sustainable buildings require many amenities and new technology that traditional buildings could never offer, but many of these aspects fall short of being implemented into buildings’ final designs because their technology is not developed enough or is not attractive enough aesthetically and financially to building owners. Today’s most advanced research and development for building technologies focus on energy efficiency. These technologies are important because they cut back on the growing energy consumption while offering owners return on investment. For example, if an owner has x amount of money to implement a sustainable building upgrade into a design, and it costs x dollars to finance a green roof installation, and x dollars to finance an automated lighting system; the owner will most likely choose to install the automated lighting system. While each feature offers its own environmental benefits and aesthetic appeal, examining return on investment based on energy efficiency makes it easy to see why an automated lighting system would be chosen. It is for the similar reasons pertaining to market demand that automated lighting systems have been more recently developed to be some of the most effective energy efficient building systems. Automated lighting systems improve a building’s sustainability and security by detecting levels of natural light and human occupancy to adjust its output levels according to demands, while allowing an owner to have full control of the system from any location. While the conceptual framework for networked lighting systems has been around for decades, supplemental technologies to apply these concepts have not always been readily available. Two main technologies that have boosted the performance and integration of these systems into buildings are fiber optics and LED lights. There are several ways to approach the design of a networked lighting system and each approach will provide different results based on the buildings usage. Therefore a lighting system design must be tailored to the specific use of the building, and must be able to adapt as the use of the building changes.